We are one of the leading company engaged in providing Power Generation Services. - Our professionals ensure that every minute detail is taken into consideration while executing the services. - Our services are carried out in compliance with the international quality standards. Shree Renuka Sugars produces power from bagasse (sugarcane by product) for captive consumption and sale to the state grids in India and Brazil. The Bio energy produced from burning bagasse is a renewable energy that provides a significant reduction to greenhouse gas emissions. 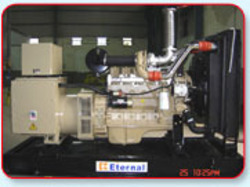 We maharashtra boring works, mumbai are authorized dealers for ashok leyland genset and marine engine parts. Please send in your inquiry. 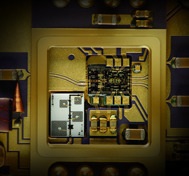 - Technology for global peace, prosperity and happiness. - Hybrid Prime mover systems. - Zero emission power plants. - Conversion of thermal & nuclear prime movers. SIL has setup 50 MW power plant partly by utlising the waste heat from the Metallurgical Coke making and partly by thermal route. After meeting the auxiliary load and other captivce needs the company is selling surplus power through bilateral trade and Indian Energy Exchange. Relying on our expertise in this domain, we are offering Thermal Power Generation Service.